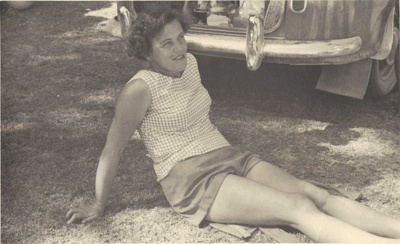 Josephine Molly Worsfold, known as Jo, nee Bowmar b 1917 d 2007, at Mangawhai Heads Beach. Jo married Frank Hamlyn Worsfold, known as Ham, in 1940. They lived on the Kaiwaka - Mangawhai Road.